For those not in the know Cricket is to them a dull drawn out game that is mostly played by dull entitled people. While there might be some truth in that (no offence Alistair Cook), for the fans who enjoy the ultimate tests in sport, we understand that to excel at this game you must be slightly nuts. That could be the insane concentration required for a test century or maddening process of working a batsman down ball after ball. Like most other sports there are plenty of examples of some of the most extrovert players out there who fans love to retell stories of. Our very own Freddie Flintoff is likely to top most of the fan’s favourite polls, especially with the barmy army. He broke the mould of an increasingly professional England outfit and brought the fans closer to the team because of how relatable he was. This in part, helped the team win the famed 2005 Ashes and cemented him as an England Legend. He was not without his quirks though and of course at times he rubbed the establishment up the wrong way. He will be known by many for his excessive alcohol consumption, which got him in trouble more than once. After the 2005 Ashes win he was seen leaving Downing Street looking worse for wear and will likely never remember the open top bus tour of London. He landed in hot water when during the 2007 Caribbean World Cup he was involved in an incident, almost drowning when he fell off a pedalo he was operating heavily inebriated. Despite the flaws, Freddie will mostly be remembered for his incredible ability as an all-rounder and his passion during intense bowling spells. 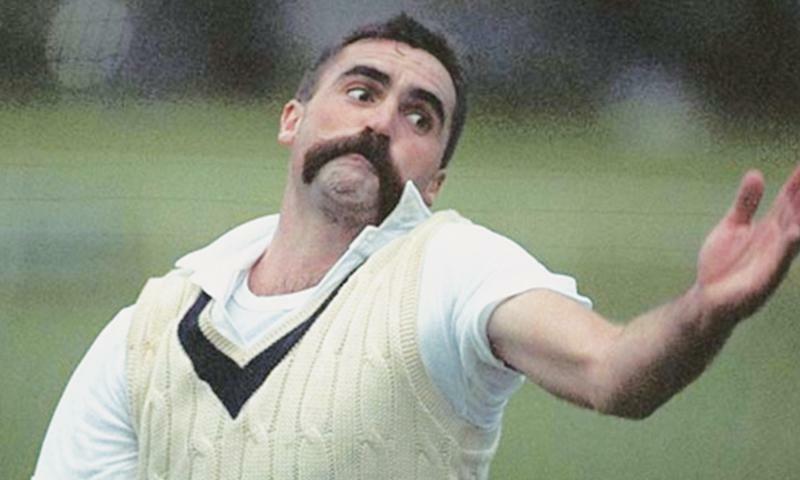 If you were lucky enough to watch Cricket in the 80’s and 90’s then you will know that the big character at the time was Merv Hughes. The man with the moustache was a terror on the pitch. Sometimes he didn’t even need to bowl, as his sledging and intimidation tactics were dangerous enough. It earned him the nickname the Australian National Pest. Some players noted that his sledging went too far sometimes, but it certainly destroyed the concept of a gentleman’s game whenever Merv was playing. His moustache was a legendary part of his aura and reportedly worth £200,000 in insurance. He, like Flintoff, fancied a tipple but it was his overeating that eventually caught up with him. His extra weight put unnecessary strain and the big man succumbed to injury. Ambrose had a very different type of character to the other two on this list. Very much an introvert, he let his bowling do the talking. He was known for his silence and shying away from any media attention. This created a mysterious element to his game and that carried on to the pitch where he was known to make his way through entire teams single handedly. Luke Michaels of Bookmakers TV told us “The West Indies have been sorely missing a bowler of Ambrose’s calibre ever since he retired. They have had batsmen like Lara and Gayle, but never a world class bowler”. 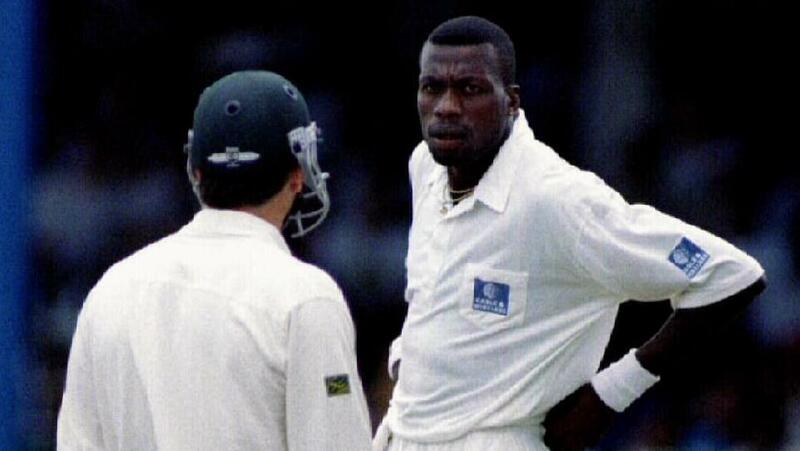 His physical nature standing well over 6ft and dreadlocks bouncing as he charged up to the wicket became one of the most iconic images in the 1990’s, and cemented his place in a list crickets most colourful characters. He is now a bass player in a reggae band. Go figure.